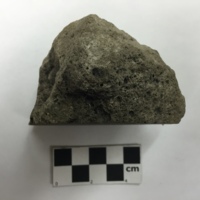 Hand Sample: Aphanitic light gray vesicular pumice. Sample has incredibly low specific gravity due to abundant vesicles. Vesicles range in size from less than 0.1cm to 0.3cm. Some vesicles on cut face appear to be filled in with a lighter material. 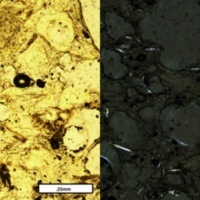 Sample contains blocks of Trachyte Obsidian from sample HA-22. 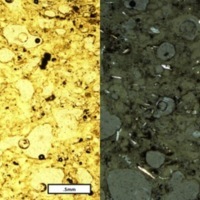 Thin Section: Groundmass composed of aphanitic glass, opaque minerals, and some plagiocalse. Numerous vesicles are present. 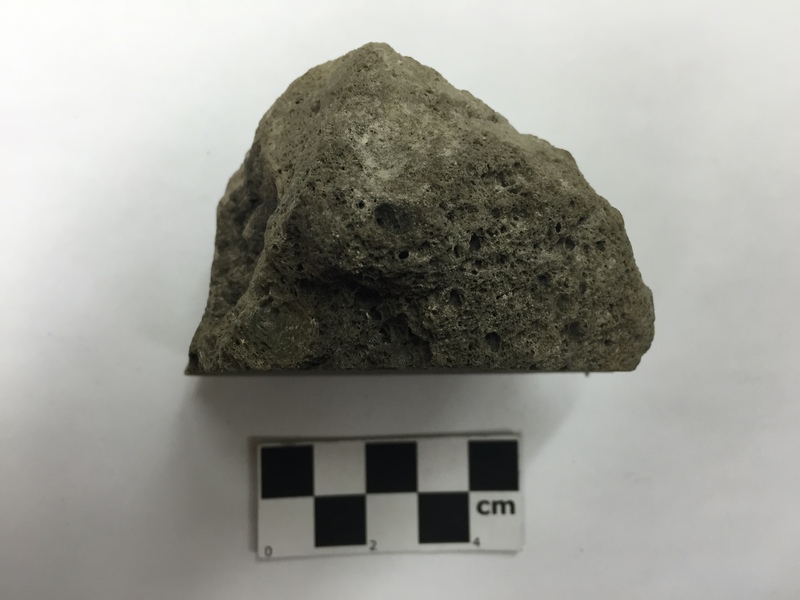 “Pumice,” Geneseo Geoscience Collections, accessed April 23, 2019, http://geosciencecollections.milne-library.org/items/show/680.